The Lorain County Commissioners applied for and received a grant for $600,000 to restore the stream that runs through Eaton Township Park and enhance wetland habitat at Margaret Peak Preserve in Eaton Township. 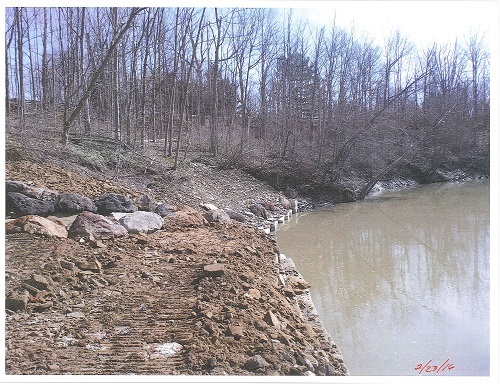 With support and collaboration of the Lorain County Storm Water Management District and the Eaton Township Trustees, these two sites have been greatly enhanced. 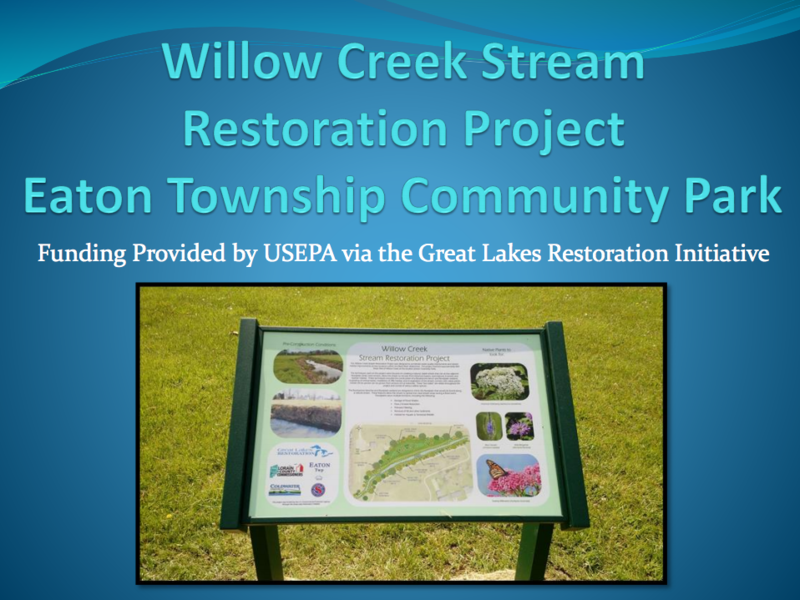 The Stream Restoration at Eaton Twp park is visible from SR82 and included the establishment of flood plain, bench, wetland basin, riffles and native plantings. Combined these actions will improve the water quality of the Willow Creek Watershed that flows into the Black River and out into Lake Erie. The expanded floodplain and bench will slow down water flows, reduce the amount of erosion and sediment in the water and the bench with adjacent flood plain will allow for additional sediment capture along with nutrient absorption and heavy metals absorption. Installation of the riffles provides habitat for in-stream animals and bugs such as crayfish. 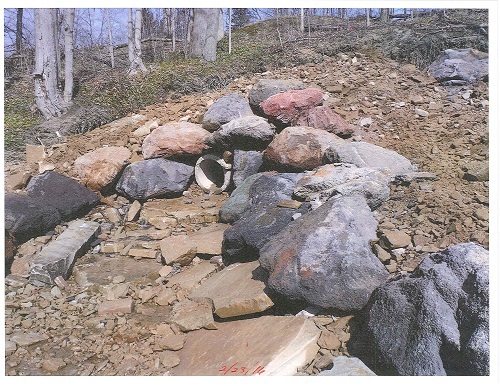 Lorain County Ohio Government - The Lorain County Storm Water Management District / Carlisle Township outfall project was a great success that in the words of the County Engineer's Inspector "exceeded expectations". BVC Enterprises, Inc. was the contractor that worked with the landowner that provided the easements and access. This project was funded in part by the land owner, the District and Carlisle Township. We are all extremely pleased with outcome and are thankful to our partners that have brought this project to a great conclusion. The project was brought to the attention of the District by Carlisle Township and the Property Owner. The outfall was undercutting itself exposing the storm water pipe and collapsing. Continued unabated the undercutting would have put at risk East River Road. The water flowing from the pipe was also eroding the high bank all the way down into the river which hastened the Black River’s erosion of the property owners land and put at risk their home. After looking at many different ways to solve the problem, we were able to come to an agreement on funding and how to provide a quality, long term solution to the issue. 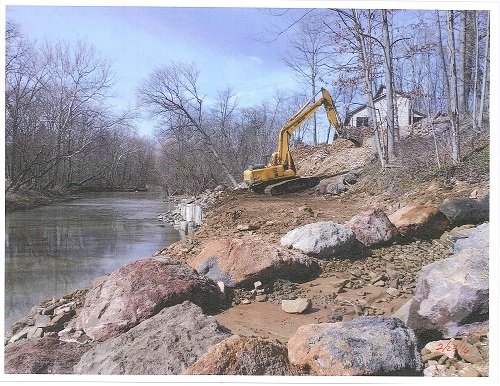 The District and Township provided some funding, entered into an MOU with the Property Owner that agreed to cover cost overruns if any occurred,provide access to the property for maintenance of the outfall and obtain necessary permits and coordination with the Army Corps of Engineers. The property owner worked with BVC Enterprises on design and the County Engineer’s Office provided inspections.